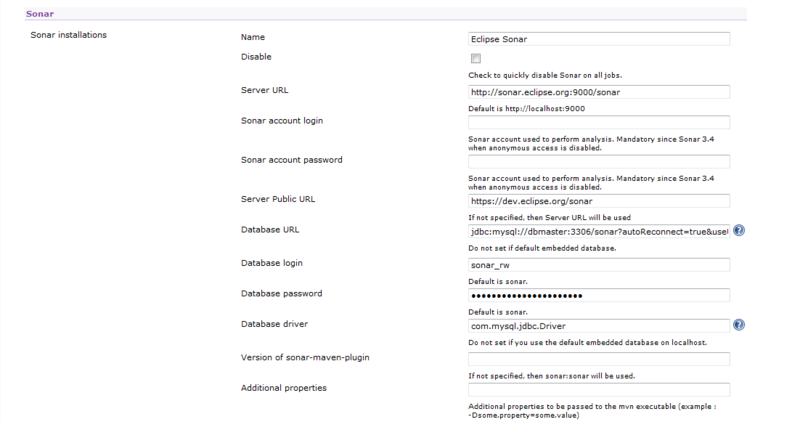 Sonar is installed on a VM. It uses its embedded Jetty server to publish to HTTP, and uses a PostgreSQL database on the same VM. * Database requires to be tweak to add some "GRANT" permissions to the sonar user. Sonar could start otherwise.